We offer superior quality cotton woven fabric, cotton dobby woven fabric which is manufactured in an array of splendid colors and are known for their color fastness. These can be availed at factory leading prices. We are a known as a prominent Exporter, Importer and Supplier of Cable Wrapping Nonwoven Fabric. We use premium quality 100% pet, raw materials for manufacturing our Cable Wrapping Nonwoven Fabric. Our Cable Wrapping Nonwoven Fabric comes with high strength resistance on MD and has strong insulating property. We are providing Cable Wrapping Nonwoven Fabric at affordable price range. Our Cotton Woven Fabric provides complete comfort and is easy to wash item. 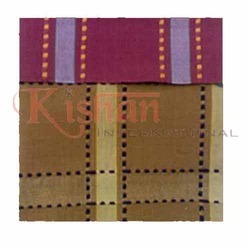 The Cotton Woven Fabric, we offer, is used to further design several attires. Customers can avail Cotton Woven Fabric from us in various dimensions and other specifications as per the needs. 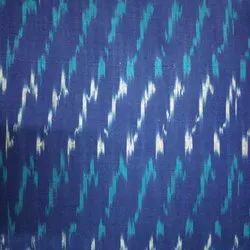 Avail Cotton Woven Fabric from us at reasonable prices. We are Oeko-tex standard 100 certified manufacturer of Cotton Woven Fabric in india. we are one of the leading Oeko-tex certified manufacturer and exporter of organic cotton woven fabric from south india. Off, White Plain Cotton Fabric, Size: 63"
Our company has gained name and fame in presenting Cotton Woven Grey Fabric. We offer Cotton Woven Fabrics to our clients.